Surf’s up… This incredible home on the Bluffs in Dana Point (Ritz Carlton) in the background is featured in Elle. Decor July/ August issue. Architect Bob White of Forest Studio in Laguna Beach and M.Elle Design Marie Carson created a beautiful and mellow series of spaces. Certainly we enjoyed working on this project. Last year ADG Eco Lighting completed several other projects with both the Architect and Designer. One was for a Major League Baseball Player in Crystal Cove. Projects world wide illuminated by American Made Light Fixtures. This entry was posted in Lighting and tagged American Made, bob white, Custom Homes, custom light fixtures, dana point, decorative lighting, elle decor, emily turner, entrepreneurs organization, forest studio, Gerald Olesker, laguna architect, lighitng, light fixtures, m.elle, marie turner, ritz carlton, santa monica designer on June 28, 2013 by Gerald. there is a short story to this client, but you will have to ask how this international Mexican born Dynamo and ADG Eco CEO came together. 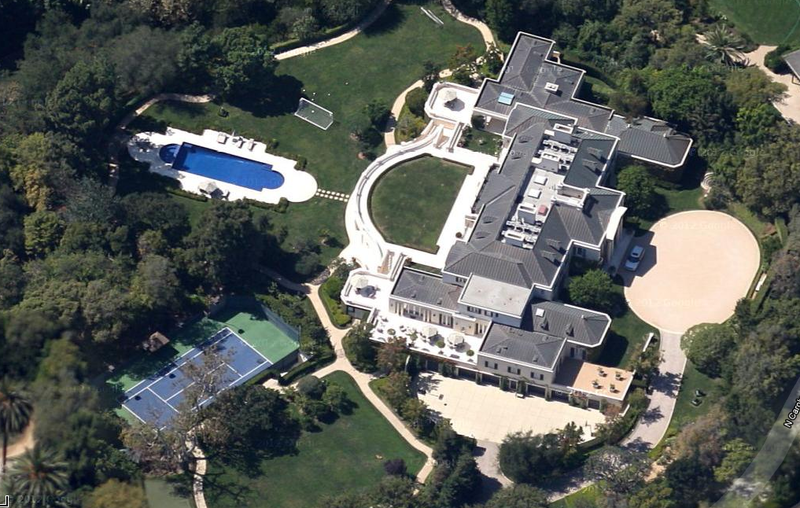 Investor and pro soccer (Houston Dynamo) team owner Gabriel Brener has put his estate in Holmby Hills up for sale. It was built in 2001 on the land of Walt Disney’s last home. 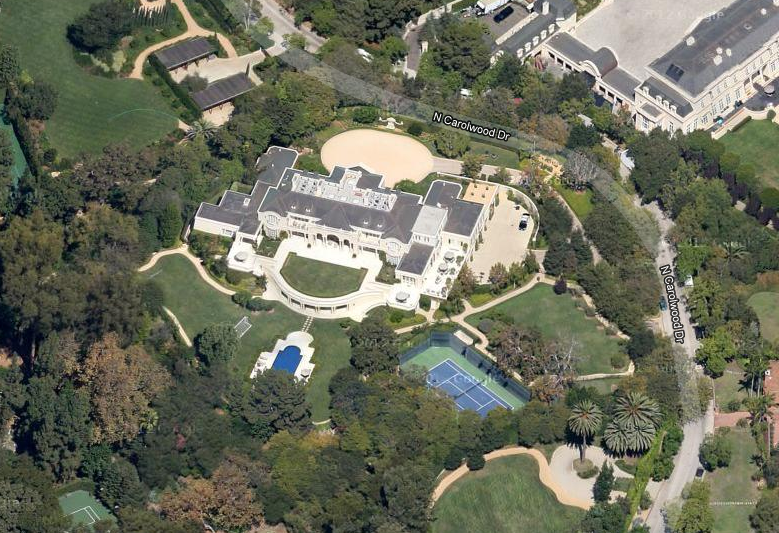 It is located on N Carolwood Drive in Los Angeles, CA (right next to the $125 million Fleur de Lys estate) and is situated on 3.6 acres. The mega mansion was designed by William Hablinski Architecture and features 8 bedrooms, 17 bathrooms, 2-story oval foyer with grand staircase, formal living and dining rooms, gourmet kitchen, 3 bars, library, gym, wine cellar, home theater, 2safe rooms and much more. The grounds feature a swimming pool, pool house, putting green and a tennis court. It is listed at $90,000,000. 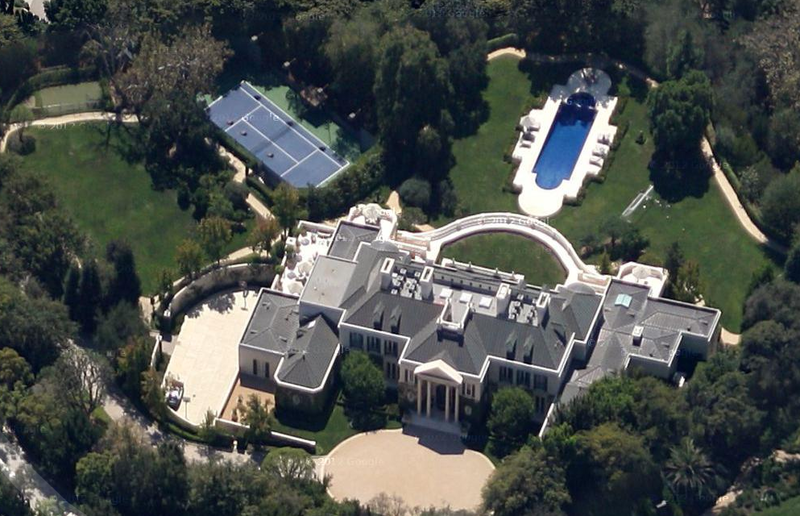 He tried shopping it around (off market) last year for around $80 million, with no luck. The former Walt Disney property contains 4 acres and features an 8 bedroom and 17 bathroom home built in 2001 that spans three levels for a total of 35,000 square feet – an especially accommodating number for those who enjoy entertaining friends. Of special note are the estate features which include a wine cellar, pool house, tennis court, putting green, custom movie room, three bars, library, gym, and two safe rooms. Guests can be assured that every square inch of this nearly four-acre property has been carefully crafted and properly cared for. Beyond the trees surrounding the pool and tennis court lies a ravine that leads into a bridal path/curtain shared by homeowners of Carolwood. Not only does this separate the lots but also makes the property feel even more vast; indeed, four acres feels like seven. No houses are in sight, ensuring an unparalleled level of privacy and serenity in Los Angeles’s most desirable neighborhood, Holmby Hills. Separate quarters are designated for help and special event staff that includes two beds and a living room made accessible via a service entrance of the garage. A Gavin de Becker security system provides peace of mind using Crestron monitors throughout the house and the ability to see which doors are open and which are locked at all times. 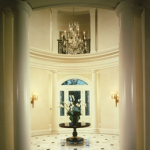 Upon walking through the front entrance, one is greeted by a two-story oval foyer with plaster-veneered walls, crown molding, and statuary and verde jade marble flooring. The main staircase is positioned off to the side to offer additional privacy for the children’s suites upstairs. 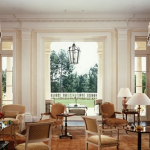 Each main room has commanding 12’ high ceilings showcasing three inch-thick mahogany doors, to either open or close off an area, and double-framed windows throughout. 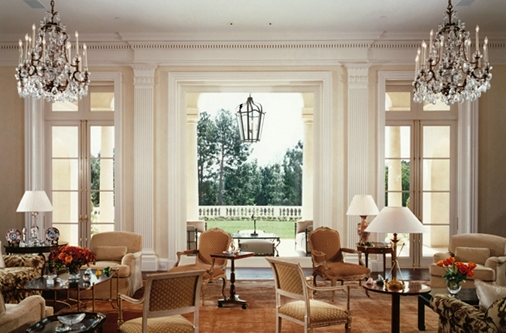 The living room ceiling was raised to 15’ to emulate the scale of a grand house of the 1920s and 30s. Natural light seeps into the gallery that flanks the sitting and dining rooms, which are built extra wide to allow for the flow of guests during parties. Dating back to the 19th Century, the mantels are made of the finest of marbles, crown molding hugs the corners throughout the estate, creating an elegant, polished look. The use of pure mahogany remains an architectural theme within this home, found most strikingly in the master suite, library, and, as a transitional element, between rooms. These mahogany doors vary from two inches to three and a quarter inches in thickness, casting a hefty load if one chooses to close them to create more privacy. Double-paned windows offer a pleasing natural backdrop and light throughout the house to the upper level lawn. 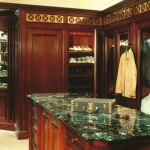 All counter-tops are composed of thick slates of marble further displaying the finest materials and amenities throughout this truly historical home and property. This entry was posted in Institute of Classical Architecture, Lighting and tagged ADG Eco homes for Sale on June 19, 2013 by Gerald. The spectacular Westridge home of Jeff and Kim Greiner recently served as the backdrop for the annual Guardians of Hope appreciation party. Guardians of Hope is a fund established by the Santa Clarita Child & Family Center. The Child & Family Center provides mental health, behavioral and educational services to children, adults and families in the Santa Clarita Valley. For more information about Guardians of Hope and the Santa Clarita Child & Family Center visit www.childfamilycenter.org. This entry was posted in General News on June 19, 2013 by Gerald. Please join us for our Designer Showcase Tour. On Saturday, June 22nd, we’re holding our first ever Designer Showcase Tour. 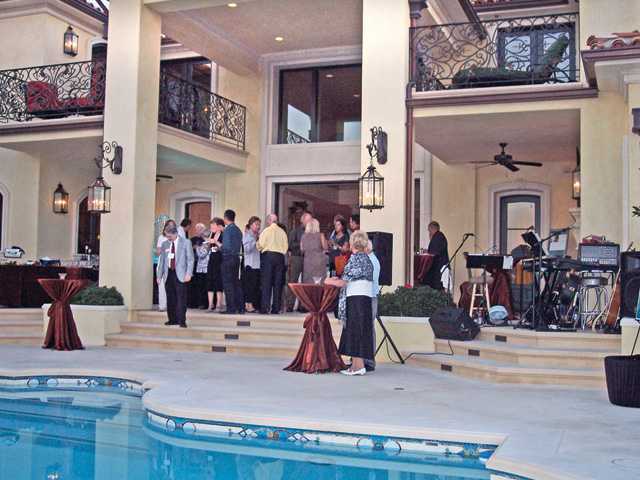 Each home on the tour was a major landscaping project featuring pools, pergolas, outdoor kitchens, water features and more. The landscape designer for each home will be on hand at each location to answer any landscaping questions you may have. For the first time ever you can consult one-on-one with five different landscape designers. If you are considering a landscape project of any size, it’s a good idea to bring pictures of the areas in your backyard or front yard you want to upgrade. PHOTOGRAPHY CONTEST & CHANCE TO WIN AN IPAD – Bring your camera. Submit photos of the properties you visit for the chance to win an iPad. Click here for contest rules and information. The tour runs between 9am and 4pm on Saturday, June 22nd and is self-guided. CLICK HERE to register for the tour and you will be emailed a map and directions on June 20th. Maps and directions will also be available at our Design Center located at 2727 Foothill Blvd. in La Crescenta which opens at 9am. Stop by our Design Center after 11am for free barbeque that will be going on throughout the day. Call 818.247.9595 for more information. The beautiful stream and pond pictured below is from one of the homes on the tour. Pacific Outdoor Living was founded to bring all elements of outdoor living under one roof so that all of your needs can be met simply and efficiently. 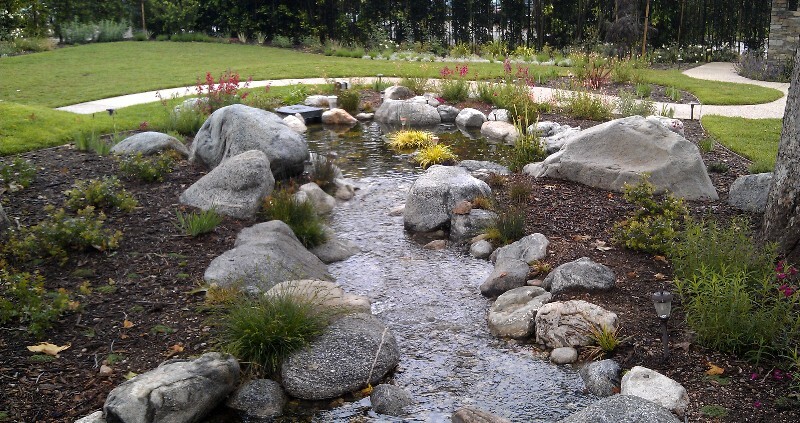 Our professional designers and fully insured crews specialize in the complete landscape design and installation of all outdoor projects in Los Angeles. From paving stones and pergolas to ponds and pools and much more, we can design and build the outdoor living space you’ve always dreamed of. Pacific Outdoor Living’s divisions include Pacific Pavingstone, California Waterscapes, and Jack’s Turf. It is not unusual that we will work with contractors, designers and architects on multiple homes. And sometimes the homeowners that build those multiple homes our TEAM at ADG Lighting will design and manufacture multiple times over. Click here for download presentation of keyshawn the Oaks Calabasas and Beverly Ridge Estates. Our Team members worked with Gordon Gibson Construction and Cami Forte Designs on both projects for Keyshawn Johnson. 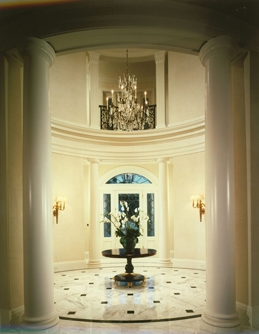 Designer Christoper Courts of http://cda-ai.com/who/ completed the Oaks Estate. other custom fixtures and details available in previous Blogs. The Beverly Crest home formerly owned by football star Keyshawn Johnson has been listed for $13.75 million. The home was Esquire magazine’s first-ever “Los Angeles Esquire House” and also once owned by Paris Hilton’s ex-boyfriend Paris Latsis. Featuring six bedrooms, nine bathrooms, a large formal dining room, a state-of-the-art screening room, a gated large motor court with a fountain, a grand entry, large open rooms with high ceilings, top-of-the-line kitchen, large terrace, gym, an infinity pool, a guesthouse and almost six acres of land, the Beverly Crest mansion is nothing short of Los Angeles prime property. In addition to having a few celebrity owners in its past, the home was also the first property to be given theEsquire House treatment, where famous designers make over a large estate. The asking price is listed as $13.75 million and the home is located in the gated and guarded Beverly Ridge community. The home features two-stories and 11,000 square feet of space and views of the city and mountains. As a now-retired football star, Johnson currently serves as a television broadcaster for sports channel ESPN. CA estate listed in early December 2012 for $10,500,000 by former professional footballer turned television commentator Keyshawn Johnson. This isn’t, as it turns out, the first time at the real estate rodeo for Mister Johnson and his custom built Calabasas crib. In fact, the Superbowl winning former wide receiver has been trying to unload his real estate albatross in Calabasas since at least March 2011 when it was unsuccessfully heaved on the open market with an asking price of $11,995,000. By late 2011 the price tag had plummeted to $9,500,000 but, alas… In early 2012 the hard-to-sell estate popped back up on the open market with a surprisingly higher $10,995,000 asking price that ten months later was dropped to it’s current $10.5 million. current listing information describes the 11,746 square foot Richard Landry-designed residence as a “Contemporary, Mediterranean” that was completed in 2011 and includes six bedrooms and seven full and two half bathrooms. The double-height foyer, study/library and formal living and dining areas are complimented, according to listing information, by less formal family quarters that include a colossal and contemporary double-island kitchen that opens to a spacious family room, a media/game room, home theater/multi-purpose room, a bonus room and a home spa and exercise room set up with sauna. 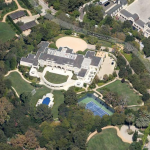 Propety records also reveal that back in December 2004 Mister Johnson sold an 11,206 square foot mansion with six bedrooms and nine bathrooms in the guard-gated Beverly Ridge community for $10,500,000. The modern Mediterranean mansion is currently back on the market for lease at $75,000 per month and for sale at $11,750,000, reduced from $13,750,000. The house was later (and very briefly) owned by Greek shipping heir Paris Latsis and was used as the Esquire House by Esquire magazine. 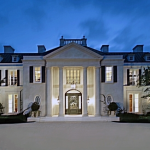 It’s also just down the street from the massive mega-mansion recently completed by Showbiz tycoon Tyler Perry. This entry was posted in General News, Lighting on June 17, 2013 by Gerald. > I am so sorry that I couldn’t be there for the install, but I saw the fixture today and it looks SOOOOOO AWESOME!!! Thank you Gerald and Joey for all of your hard work making this monster happen!! It’s really gorgeous!!! I couldn’t be happier!!! Love the bulb sizing, gauge, color, EVERYTHING!!! Such a great idea – it is like an open range hood over the center Island of this Malibu home. We provided the structure without the skinning. Then the blown glass pyrex shapes are like old time light bulbs. So classic with a modern and hip twist. Previously we complete the Esquire home with Cami as one of the Designers. Paris Hilton’s Boyfriend bought the property for her. 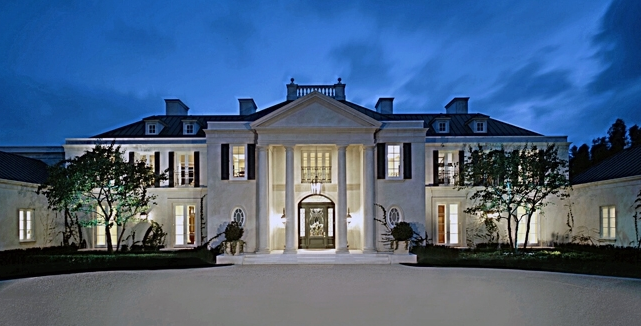 Then we worked on Keyshawn Johnson’s famed Calabassas Oaks Estate. that’s where he chewed-out the Beeb for Ferrari speeding. Good Job KJ. His estate is across from Mama Jackson’s home. Lot’s of popularity in a short blog. Thanks again Cami for being a great client. Also pictured above is our client actually helping Joey G put the bulbs into the fixture. For more info about Custom Lighting or Custom Lanterns by ADG Lighting and the TEAM at Architectural Detail Group, Inc call 818-597-9494. We are an International provider of custom light fixtures, chandeliers, eco lighting and brass lanterns and iron lanterns. we use LED and induction lighting in our fixtures as well. This entry was posted in Lighting on June 13, 2013 by Gerald.